How can you thank your family for their support over the course of your life? Preplanning is a wonderful gift you can give your family. Ask anyone who has gone through the preplanning process—they will tell you that it puts everything in place for the final arrangements. It also makes good financial sense, and but is quite simple and can be comforting, because it can be done when you are not in crisis mode. You can document important family details for posterity or plan your own readings, music and other details that will make a fitting funeral or memorial. Make your own decisions about whether you want to be buried or cremated, and where. Remove stress and conflict from your family by making your wishes known. Plan for the costs of the services, burial or cremation, cemetery plot and the grave marker. Prepay for the costs if you wish—an act that is likely to save money. Document critical information, such as your mother and father and their places of birth and death. Enjoy family time talking about how you want to be remembered. Express your personality, beliefs and lifestyle to personalize the funeral or memorial service. With so many benefits that ease your mind and free your family from difficult decisions, why not plan your funeral or memorial service in advance? 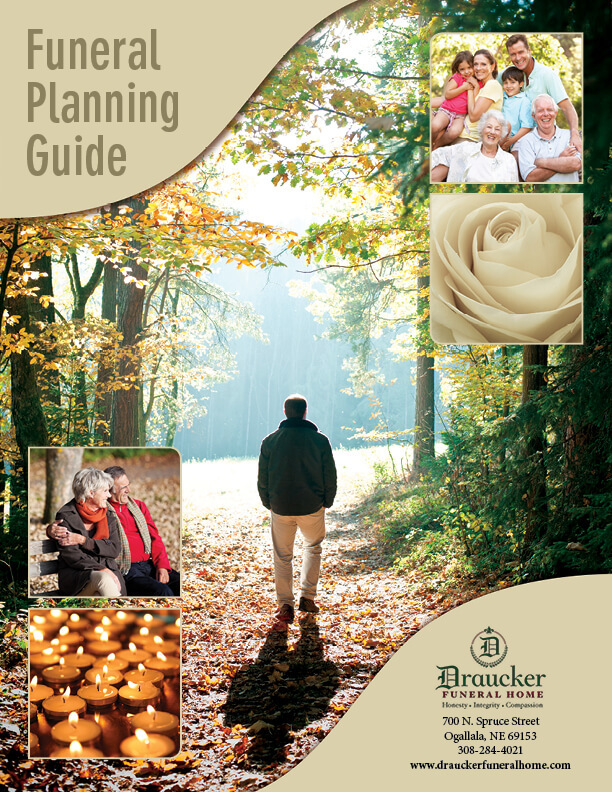 Draucker Funeral home is here to help. Start by calling us at 308-284-4021 or by completing the online preplanning questionnaire or printing and completing the preplanning PDF. Please call us with questions and plan to meet with us to finalize the details.